One design option is this gazebo with grapevine columns. It is a beautiful classic design that is a stunning addition to any garden. It is handcarved from stone and features six columns with intricate acanthus leaves and grape vine carvings. This gazebo will take you away from reality and fill you with relaxation and tranquility. Twist and shout from excitement as you add this corinth twist gazebo to your home! From top to bottom, it features intricate scroll work and designs. If you get tired of standing and soaking in the handcarved beauty, there are built in benches to let you sit and rest. 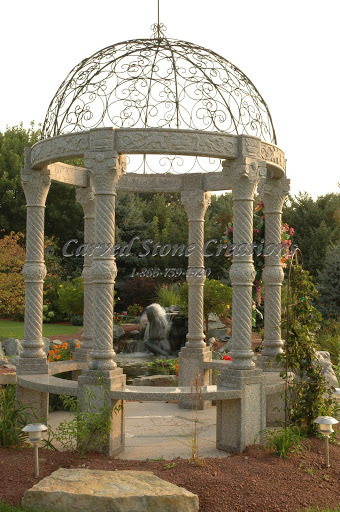 The wrought iron dome is yet another detail that makes this gazebo breathtaking. 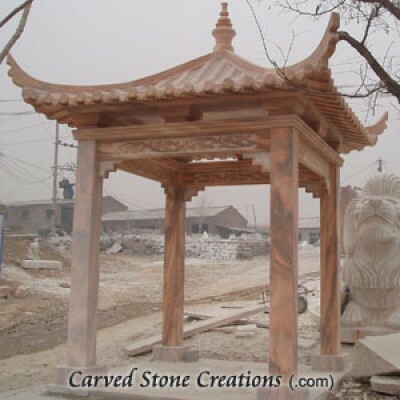 Add oriental flair to your home with a carved marble Japanese style gazebo! 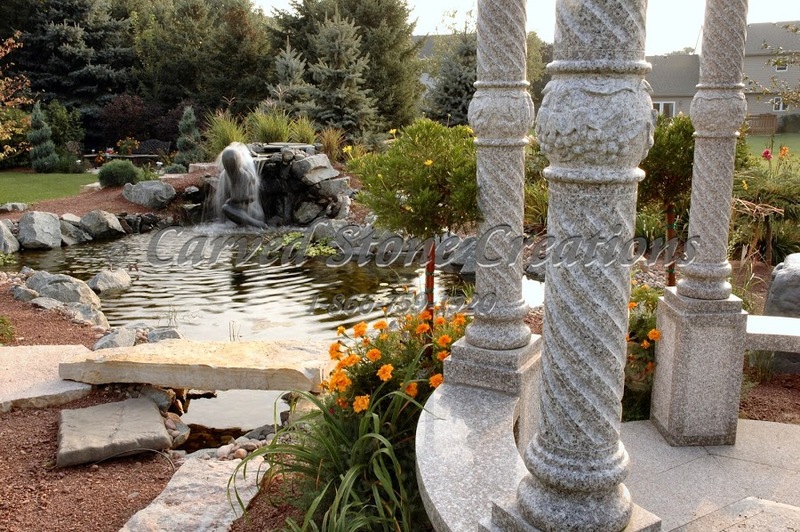 Its unique design adds a touch of culture and class to any garden. Handcarved from natural stone, it serves as a striking centerpiece that will make you and your guests unable to look away. 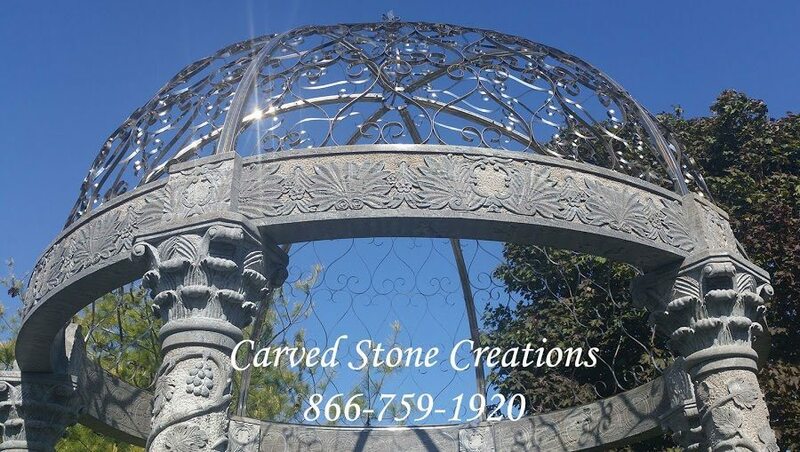 If you are looking to make a statement, this gazebo will do just that. If one of these beautiful gazebos caught your eye, contact us today!